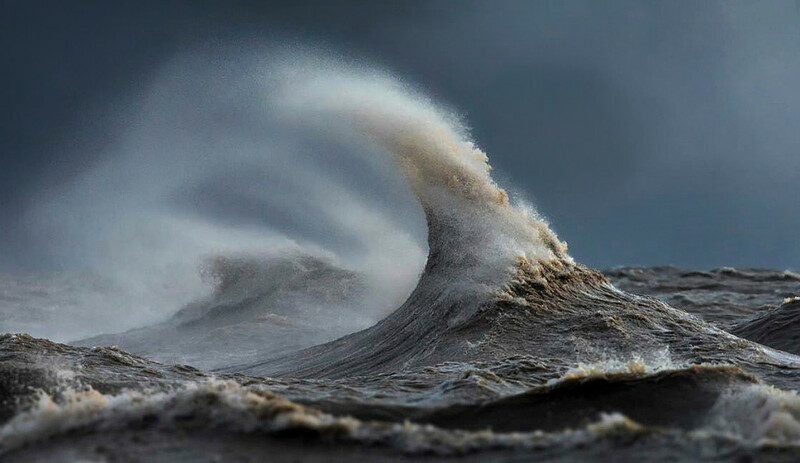 Home › Lake Erie › Beware the Witch of November! 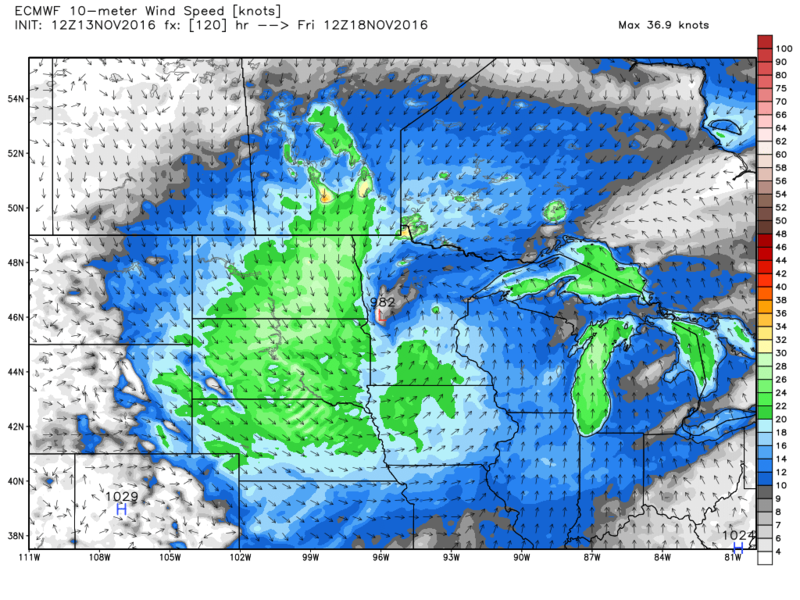 Get ready Great Lakes for a possible “November Witch” to broom into the area by Thursday/Friday with a cauldron of warm air, cold air and violent gales! The name comes from intensifying Low pressures with a clashing of warm air, rain and storms ahead drawn up from the Gulf of Mexico…and cold Canadian air with heavy snow wrapping down around it. 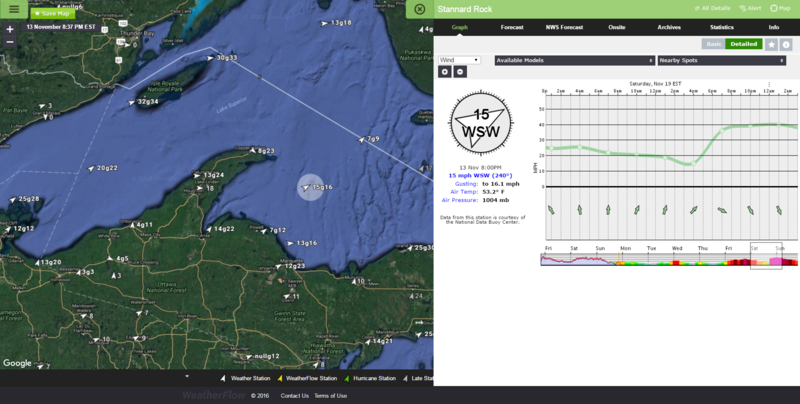 At times in the past, we have seen hurricane category force 1 and 2 winds generated over the Great Lakes as the two air masses collide. 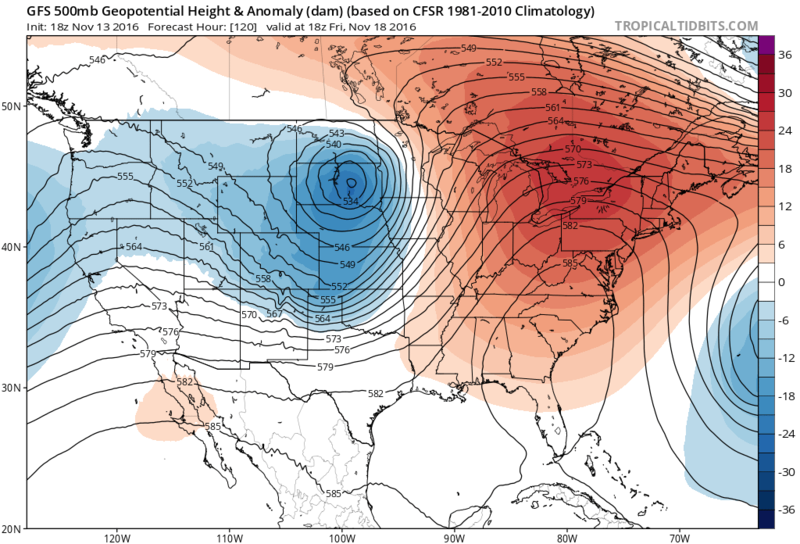 This is typically a more frequent event to see this time of the year; however, the effects of a La Nina pattern have kept warmer air up across the upper midwest until this week as we see the pattern begin to act more like the fall season. 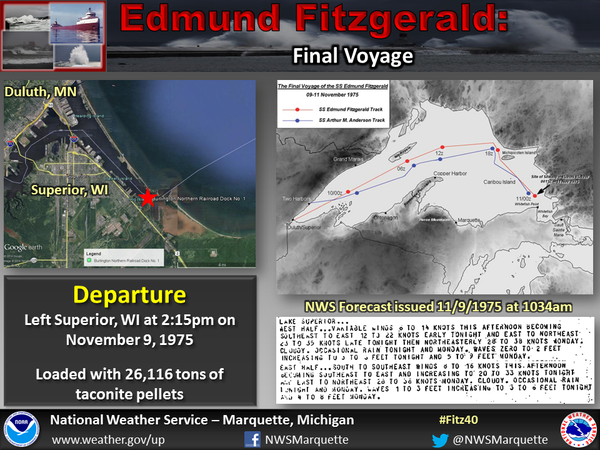 The Witch of November phrase was used in the famous song “The Wreck of the Edmund Fitzgerald” (happened in 1975) by Canadian singer-songwriter Gordon Lightfoot, which was a tribute to one of the most well-known Great Lakes shipwrecks known in that area. 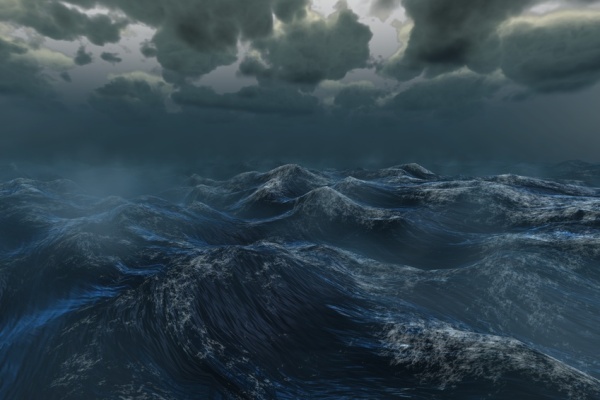 Artistic rendition of an angry and cruel Lake Michigan. And the “pointy hat” of a “cruel witch” from Photographer Dave Sandford. 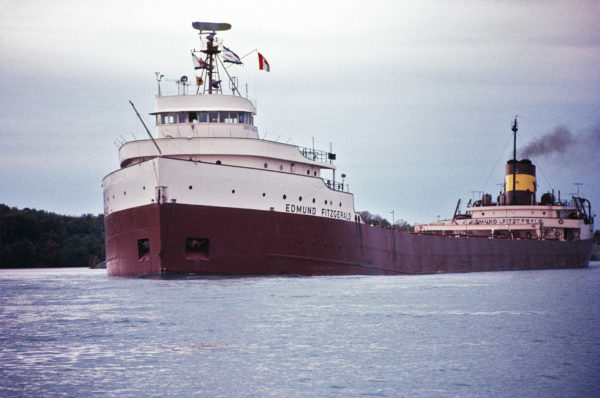 S.S. Edmund Fitzgerald before it went down in Lake Superior on November 10, 1975. All 29 of its crew perished. Between 1878 and 1987, 6,000 ships have been lost on the Great Lakes…with upwards of 25,000 individuals losing their lives over the last 300 years. Sadly, the National Weather Service Marquette, WI did issue fair warning ahead of their departure, but they went anyways. 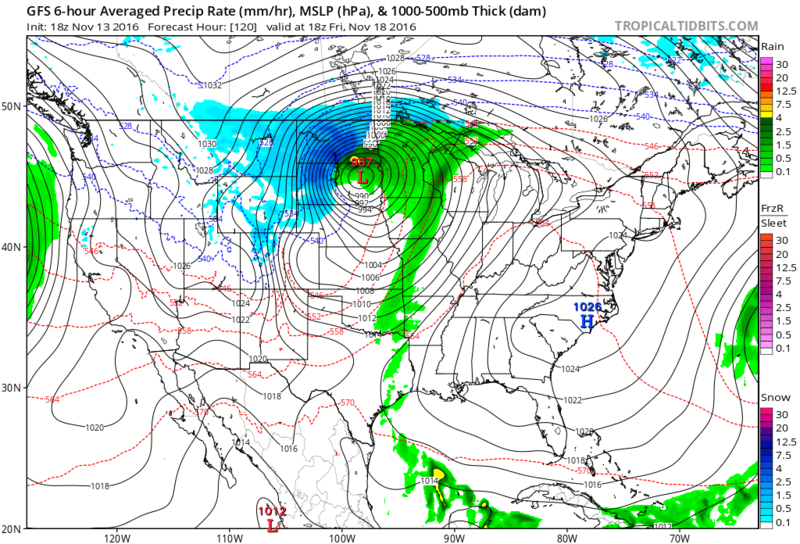 GFS 500mb chart showing the strong mid level vorticity just west of the Great Lakes by Friday afternoon. ECMWF (EURO model showing agreement with lower pressure at 982mb’s. San Francisco State University 300mb (~30,000ft) jet stream analysis showing an intense dip in the jet stream with strong Southerly flow aloft pushing over 100kts – with higher areas of streaking to the SW and the NW. 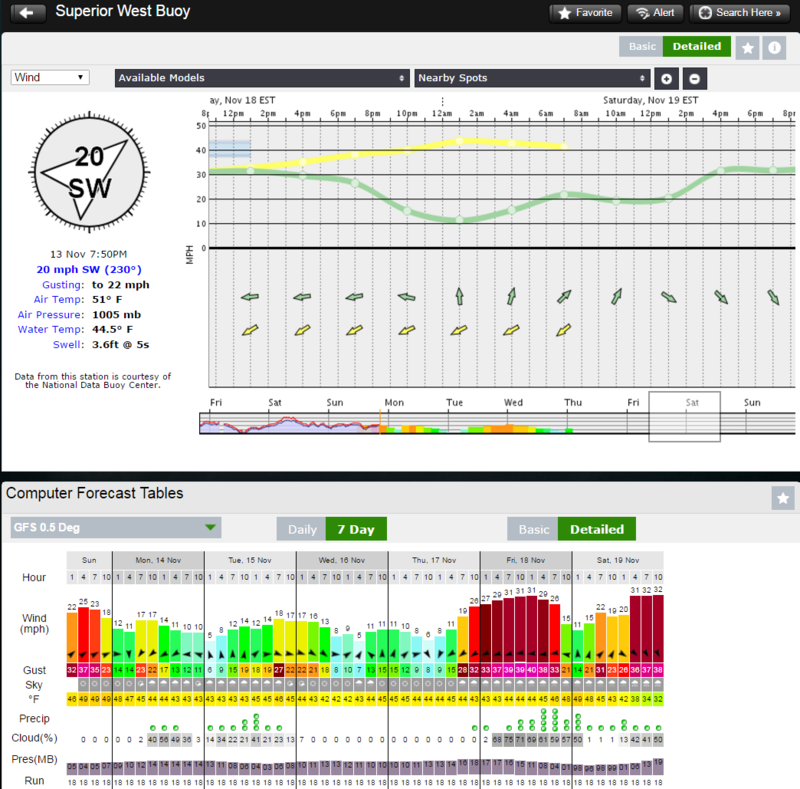 Here is the GFS wind forecast for (Lake) Superior West Buoy topping 30mph – the CMC Canadian model (yellow line) reaches into the 40’s. Even though this is still 5-6 days out with much that could change, it does serve as plenty of heads up to mariners up that way to keep an eye on developing conditions this week. 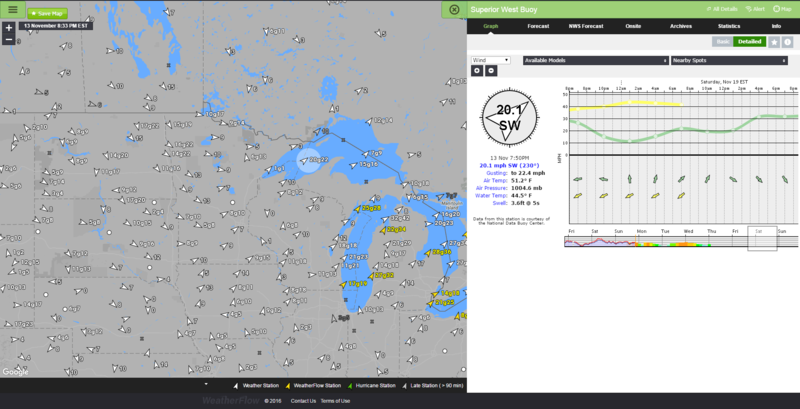 UPDATE 11/18/16: Looks like this storm verified with wind in excess of 50mph over Lake Superior and other locales where the wrap-around winds are really cranking up. 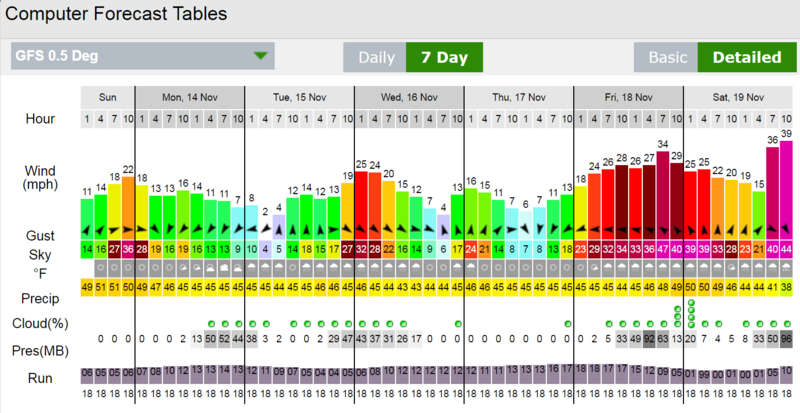 Here is a video of the system and the winds + gusts. Snow and blizzard conditions are on the N/NW/W/SW side of the system where cold air is wrapping into it… with white-out conditions for many locales.